Calafell-stranden ligger i nærheten av Barcelona og Port Aventura Park, midt i Costa Dorada, er en av de mest sjarmerende og velkjente byene på den katalanske kystlinjensom tilbyr mange muligheter for utendørssport, kultur og fritid, nyte naturen og koble fra den daglige rutinen. Costa d’Or leilighetshotell tilbyr deg selvbetjente leiligheter å leie med svømmebasseng bare 50 meter fra stranden, i sentrum av Calafell, nær supermarkeder, barer og restauranter. Hvis du er ute etter selvbetjente leiligheter i Calafell med godt nettverk, så vel som nær stranden og i sentrum, vil Costa d’Or-leilighetene tilfredsstille alle dine forventninger. Calafell-stranden har en utmerket kommunikasjon med Barcelona (68 km), Barcelona flyplass (55 km) Reus flyplass (40 km), Port Aventura World (50 km) og Tarragona (40 km). Costa d’Or leilighetshotell tilbyr deg muligheten til å nyte en familiesommerferie ved havet og besøke Barcelona og omgivelsene. Det er forskjellige måter å komme til Costa d’Or leiligheter, for å nyte en familiesommerferie i Calafell, enten du har ditt eget kjøretøy eller ikke. Calafell er veldig lett å nå med bil eller fra Reus eller Barcelona flyplasser. From Barcelona Airport you can arrive easily to Calafell by public transport (by train or by bus) or also by taxi. Moreover you can also arrive by renting a car for all the days or just for 1 day. Once at Calafell it is quite easy to arrive quickly everywhere by public transport, so we do not recommend you to rent a car, unless you arrive very late in the night. Costa d’Or also offers you the possibility to book a taxi transfer to Costa d’Or apartments. From Barcelona airport it is possible to arrive to Calafell by bus plus train, it takes about 90 minutes. Costa d’Or Apartment hotel is located just 150 meters from the train station. Bus L99: From Barcelona Airport Bus Station get the bus L99 direction Castelldefels and get off at Castelldefels «Avda. Constitució-Avda. Sta Maria». It will be clearly signposted. These buses depart from Barcelona Airport Terminal 1 every 30 mins approx (x:15 und x:45 h). It takes 25 minutes. Last bus from Barcelona airport at 22:15 hrs. The bus stop in Castelldefels is located just in front of Castelldefels train station and is called «Avda. Constitució-Avda. Sta. Maria». Train: At Castelldefels get the train to St. Vicenç de Calders at platform 1 and get off at Calafell. It will be clearly signposted. These trains depart every 30 mins approx (x:25 und x:55 h). It takes 35 minutes. Last trains from Castelledefels to Calafell at 22:25 hrs. und 23:25 hrs. Tickets: Both tickets (bus plus train) cost about 7 Eur per person. For the train a special offer called Bonotren can also be bought. It is a zone ticket, approx. 35.-Euros 10 journeys. It is transferable. It can be bought at the train station. From Barcelona airport (Terminal 1) it is also possible to arrive to Calafell by bus, it takes about 90 minutes. You will have to transfer in Vilanova I la Geltrú. The Apartment hotel Costa d’Or is located 150 metres from the bus stop. During the week there are buses every hour. On Saturdays they also work but not so often. There are no buses on Sundays or on holidays On Bank holidays 15/8, 11/9 there aren’t any buses. There is a car rental service at the same airport. Once at Calafell it is quite easy to arrive quickly everywhere by public transport, so we do not recommend you to rent a car, unless you arrive very late in the night. In that case you can rent just for one or some days and it is also possible to return the car in a different place. From the Barcelona airport you can take a taxi, which can cost approximately 110–120 Euros, taking about 1 hour. TRANSFER: (from 110–120 Euros, 60 min.). If you book a transfer, a taxi driver will pick you at your arrival. Prices: Taxi for 4 people (110 Euros) or Minibus til 7 people (120 Euros). TRAIN (approximately 5 Euros/person, 90 min. ): From Barcelona airport it is possible to arrive at Calafell by train, it takes about 1 hour. Costa d’Or apartment hotel is located 150 meters from the train station. Instructions: From Barcelona Airport get the train to Barcelona Sants. These trains depart every 30 mins approx. It takes 20 minutes. At Barcelona Sants transfer to platforms 9/10. Get the train to St. Vicenç de Calders and get off at Calafell. It will be clearly signposted. These trains depart every 30 mins approx. It takes less than 1 hour. Last trains from Barcelona Sants approximately at 22 pm and 23 pm. Prices: Return tickets costs approx. 5 Euros. Special offer !! Bonotren Zone ticket, approx. 35 Euros 10 journeys. Is transferable. It can be bought at any train station. TAXI: (from 110–120 Euros, 60 min.). From the Barcelona airport you can take a taxi, which can cost approximately 110–120 Euros, taking about 1 hour. TRANSFER: (from 110–120 Euros, 60 min.). If you book a transfer, a taxi driver will pick you at your arrival. Prices: Taxi for 4 people (110 Euros) or Minibus til 7 people (120 Euros). RENT A CAR: (60 min.) There is a car rental service at the same airport. Once at Calafell it is quite easy to arrive quickly everywhere by public transport, so we do not recommend you to rent a car, unless you arrive very late in the night. In that case you can rent just for one or some days and it is also possible to return the car in a different place. TAXI: (80–90 Euros, 40 min.). From the Reus airport you can take a taxi, which can cost approximately 80–90 Euros, taking about 40 minutes. TRANSFER:(80–90 Euros, 40 min.). If you book a transfer, a taxi driver will pick you at your arrival. Prices for taxi for 4 people 80 Euros or minibus til 7 people 90 Euros. RENT A CAR: (40 min.). There is a car rental service at the same airport. Once at Calafell is quite easy to arrive fast everywhere by public transport, so it is not necessary to rent the car for all the days. 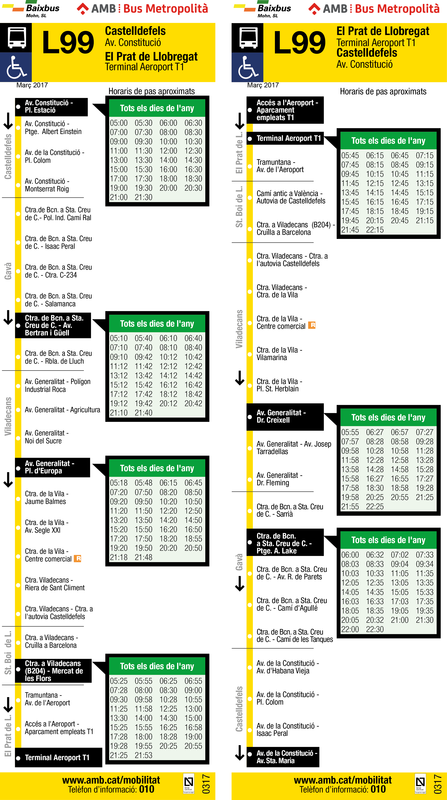 PUBLIC TRANSPORT: Take a bus to Reus Train Station (30 min.). Bus timetables depend on flight arrivals. From Reus Train Sation there are train connections to Calafell . First of all get the train to Barcelona and get off at St. Vicenç de Calders (about 30 min). Once at St. Vicenç de Calders transfer to another a train to Barcelona and get off at Calafell (about 5 min). It will be clearly signposted. These trains depart every 30 min. approx. Last train from St. Vicenç de Calders to Calafell at 22:00 hrs. Costa d’Or apartment hotel is located 150 metres from the station. CAR RENTAL: We recommend you to rent a car at Girona airport. Once in Calafell it is easy to visit the most important places by public transport so you can also rent the car just for a few days and return it in a different place. TAXI: (from 210–250 Euros, 90 min. ): It is a more expensive option. TRANSFER:(from 210–250 Euros, 90 min.). Prices: Taxi for 4 people (210 Euros) or Minibus til 7 people (250 Euros). PUBLIC TRANSPORT:It is also possible, but it takes longer due to the tranfers. We don’t recommend it if you arrive late. Price about 15.-Eur/person and travel time about 150 min. You have to take first one bus at Girona airport to Barcelona-Estació del Nord. It takes about an 1 hour. Bus timetables depend on flight arrivals. Bus timetables: www.barcelonanord.com. Once at Barcelona-Estació del Nord walk till the nearby Barcelona Arc de Triomf train station, and there get the train to Calafell. The trip takes about 1 hour. First get a train to Estació de Sants (it is a short trip and trains leaves very often) In Estacio de Sants transfer to platforms 9/10 and get the train to St. Vicenç de Calders and get off at Calafell. It will be clearly signposted. These trains depart every 30 mins approximately. It takes less than 1 hour. Last train from Barcelona Sants approximately at 22 pm and at 23 pm. Coming from the autoroads AP-2 or AP-7 take the Exit 31, in El Vendrell. Then continue on the autoroad C-32 and exit in Calafell. Once out, follow direction to Calafell Platja and you will arrive next to the train station. Go under it. Continue on the right and make the change of direction at 50 m. After that you must turn right at the first or second streets allowed (Passatge de Sant Antoni or Pintor Mir). At the next corner you will find Vilamar treet and Costa d’Or Apartments are on the corner. It’s possible to arrive to Calafell by train. From Barcelona Sants and also from Barcelona airport. From Barcelona Sants it takes less than 1 hour. Costa d’Or apartments are located only 150 metres from the station. Instructions: Get the train to St. Vicenç de Calders (usually on platforms 9/10) and get off at Calafell. It will be clearly signposted. These trains depart every 30 mins approx. Last train at 22:00 hrs and 23:00hrs. Prices: Return tickets costs approximatively 5.- Euros. Special offer !! Bonotren Zone ticket. Approx. 35 Euros 10 journeys. . Can be bought at any train station and is tranferable. The high-speed train (AVE), has two stations near Calafell: Tarragona and Barcelona. From Tarragona (Camp de Tarragona AVE station) it is only possible to arrive to Calafell by taxi. While from Barcelona Sants, you can arrive to Calafell by train, the train stops just 150 m from Apartment Hotel Costa d’Or. At Barcelona Sants you will have to transfer and get the train to St. Vicenç de Calders (usually on platforms 9/10 and get off at Calafell. It will be clearly signposted. These trains depart every 30 mins approx. It takes less than 1 hour. Last trains from Barcelona Sants approximately at 22 hrs and 23 hrs. Prices: Return tickets costs approx. 5 Euros. Special offer !! Bonotren Zone ticket, approx. 35 Euros 10 journeys. It is transferable. Can be bought at any train station. From the Camp de Tarragona AVE Station we recommend you to take a taxi and takes about 40 minutes to arrive to Apartments Costa d’Or, the price would be about 80 Euros.